President David Granger says he is “tired” of Guyana exporting logs and other raw materials instead of value-added products. “I am tired of seeing logs going out of this country. I want to see furniture going out. I don’t want to see raw gold. I want to see jewellery shops. We have to add value to these important products of our country if we are to become rich,” he said at this weekend’s opening of the three-day Linden Exposition and Trade Fair at the Linden Technical Institute. The private sector has repeatedly raised concerns about several constraints, such as cheap and reliable energy, to value-added production. Saying that the exhibition offered an opportunity for innovation and to “get out of the mind-set of just mining and producing raw materials,”, the President charged Linden to develop itself by increasing economic activity to create jobs, generate wealth and reduce poverty. “Linden has a special responsibility not only to develop its Town and residents but the entire Region. When we have these exhibitions, bring people from the rivers so that they can show off their goods. I want young people to put their foot forward at these exhibitions. Linden must become a beacon for commerce and also for manufacturing, industrialisation and you must leverage your status as a capital town, as being the navel of Guyana. You must leverage your cultural and social capital to bring prosperity to this Region. This is just a start. I’d like to see this exhibition as a platform for innovation. I expect that this exhibition will be a springboard for the economic revival of this town,” the Head of State said. Granger said Linden has the capability to advance and develop by leaps and bounds but it must first fulfil its mission as a capital town by employing its human resources, exploiting its agriculture potential and by adding value to its raw materials to build a strong and resilient economy. The event is a collaborative effort of the Linden Chamber of Industry, Commerce and Development (LCICD) and the Linden Enterprise Network (LEN) and the Linden Mayor and Town Council and is being hosted under the theme “Exploring opportunities, Empowering businesses in a Green 2018.” After being held as a separate event in 2017, the Exposition has now returned as one of the main events of the Linden Town Week festivities. During this address, the President said that it is his belief that the Fair exemplifies the efforts, which Linden is making to encourage entrepreneurship, to create employment and to establish a resilient economy in these changing times. Noting that Region Ten occupies a central location in Guyana, encompassing all three main rivers and bordering six regions, the Head of State said that like all capital towns, Linden must drive and propel development in the entire Region. “Linden is the powerhouse that is driving this great Region. This is a beautiful and bountiful Region and you possess strategic advantages… You have abundant natural resources; the logs, the bauxite, the rich forests and our rich mines but you also have other resources; abundant wildlife, fish, birds and an attractive environment. Linden is also in its own way a centre of intelligence. The President said that the Region can also create a strong industrial base, having been the heartland of bauxite mining for a century and one which has attracted and trained engineers, electricians, geochemists, geologists, machinists, mechanics, surveyors, technicians and welders among a range of skilled personnel. He said that while some of these persons have migrated, he is certain that they would return to Guyana to invest in Linden with the right incentives. President of the LCICD, Mr. Victor Fernandes, said that the Trade Fair will focus on the development of local producers and will encourage the producers to not only showcase their products and services but to make them better. He noted, like the President, that while Linden would have depended on certain sectors for decades, the time has come for changes so that economic prosperity can return. “Region Ten has been known as the bauxite resources but within the hills, it holds rich human and natural resources and a wealth of untapped potential. As the voice of the business sector, we see it as our duty to be in the vanguard of transforming Linden and this Region in its approach to business and building its economy. The Linden Chamber is on a mission to transform Linden into a business destination with real business opportunities and new sustainable jobs. We are engaging the private sector to better position themselves to take better advantage of this town and its strategic location to do business in all the sectors. We must be the driving force to contribute to the evolution of this region from just being a transit point for doing business to a business destination,” he said. Mr. Lyndon Younge, Senior Vice President of LCICD and Coordinator of the Expo, in his remarks, noted this is the Chamber’s signature event for the Linden Town Week to explore business opportunities and to empower business men and women under a theme that contributes to the President’s vision for a ‘green’ Guyana. “We want to support and embrace your ‘green’ State initiative not just for 2018 but until it is achieved. Linden is a land of many opportunities and we must seek to use our innovative and creative minds to bring out the products, which would help to move us forward. We want movement Linden. Let us turn our potential energy into kinetic energy and set the stage for economic development. This is a call for action to do what is good for this town,” he said. Mayor of Linden, Ms. Waneka Arrindell embraced the message of the Head of State, noting that manufacturing and value added production is the way forward even as she sounded a call for Lindeners to come together to achieve the vision set out by the President. “Linden will become the breadbasket for Guyana. 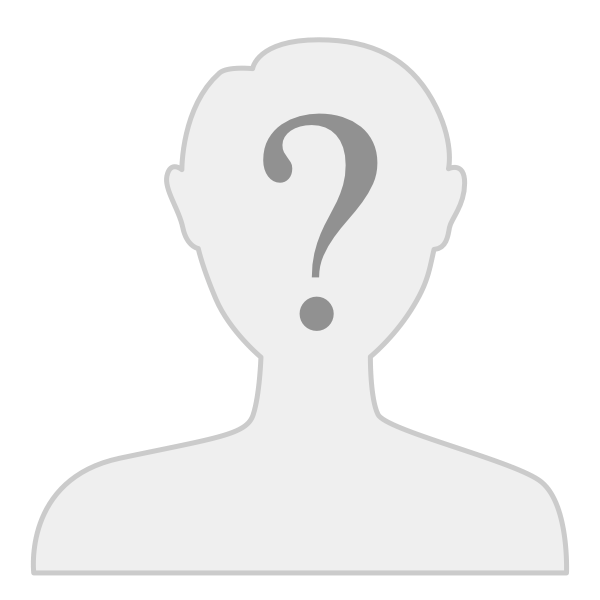 With some investment, Governmental guidelines and marketing each person will be able to improve and grow. I want to encourage Lindeners to think local because everything we need we can find here in Linden and our country. Let us work together to develop our beautiful town. Linden we can do this if we work together,” she said. Regional Chairman, Mr. Renis Morian in brief remarks said that this is just the beginning to the economic revival of the town even as he said that he expects to hear success stories coming out of the Expo. Ms. Colleen Williams, one of the exhibitors, said that she is grateful for the event as it provides her with a unique opportunity to showcase her products, which encompasses spices, flour, pepper, seasonings and other items. 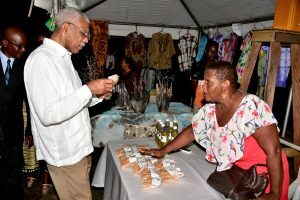 Following the opening ceremony, President Granger conducted a walk through and interacted with several of the small business owners, who had their products and services on display. Services and products ranged from arts and craft, to beverages, literature, alternative energy appliances and equipment, spices, and value added products including jams and jellies, confectionary, peanut butter and seasonings. The government has the resources to make value added products a reality. The people doan have the means, but they have the will and the government has the finaces. However, hate dulls common sense and the government is dulled many times over which robs them of vision. I have to disagree with K. Brian Teekah Bacchus Guyana has lost billions of dollars over its existence by just exporting raw materials. Siege, should look in to this and also sell on Amazon.